The Brookline High School scholarship program is much more extensive and more varied than programs at most other public high schools. Brookline High enjoys a long tradition of such philanthropy and benefits from the richness of resources available to the school. The Brookline High School Scholarship Committee is charged with dispersing scholarship funds to graduating seniors according to the criteria of the many scholarship funds. The Committee’s goal is to disperse these funds as equitably as possible given the many different parameters of the funds and the goals of the donors. Persistent outreach among the seniors is done so that everyone who might be eligible for a scholarship knows about the opportunity to apply. The Scholarship Committee has been deeply invested philosophically in the concept of BHS Scholarships as financial aid. Although some scholarship funds are prescribed in such a way that they seem based on merit, in every case the Committee works to award the scholarships to the neediest applicant who meets a scholarship’s criteria. To this end, the Committee asks students to provide copies of financial aid award letters from the student’s college. We also require the student’s family to provide the CSS Profile – the financial document which measures Estimated Family Contribution. This document includes, among others, information on home equity, a factor which the Committee has always considered an important resource for families. For this reason we consider The FAFSA document insufficient for our purposes, except where students live in public housing and have thus already been vetted as qualifying for aid, or cases where we know through other means that the family has no home equity resource. The application process has two steps: complete the application (available on the BHS main webpage) and send the completed CSS profile to Brookline High School (BHS School code is 0424). February: Applications are distributed for the Boston University and Northeastern University tuition scholarships between mid-year exams and February vacation. BU is particularly interested in our accelerating our process – in their interest – but NU has always been very flexible. March: Weekly meetings of the Scholarship Committee to hash out who are our finalists at BU and NU. April: Applications for scholarships to any college are distributed in the couple weeks preceding April vacation. May: On or around May 1 seniors will make a college choice and put down a deposit at a certain school. At that point the student’s scholarship application is considered complete if the Committee has received the financial aid award letter from the college and the CSS Profile, as well as the BHS application form. In mid-May the Scholarship Committee holds its annual Day-Away and ploughs through as many applications and scholarships as possible. After a week or so of tying up loose ends, notification of the award(s) and an invitation to the Scholarship Breakfast is sent to the student’s home. ​June: Scholarship Breakfast the morning of Graduation. Allen-Meyers Graduate Scholarship Fund: an umbrella scholarship fund, originally funded solely by Brookline High teachers and retirees, which is used by the Scholarship Committee to support graduating seniors who lack the resources for paying college costs. Dr. Robert J. Weintraub Scholarship Fund: a scholarship fund created upon the retirement of long-time Brookline High Headmaster Bob Weintraub in 2011. This fund helps a graduating student who best exemplifies the qualities associated with the inspired leadership of Dr. Bob. Lindsay Murphy Scholarship Fund: a scholarship created upon the retirement of long-time Associate Dean of Students Lindsay Murphy in 2011. This fund helps a graduating senior who best exemplifies the the caring and humane administrative style of Ms. Murphy. We all want students to have bright futures after they leave Brookline High. You can help make this happen by contributing to Brookline High School (BHS) scholarship funds that award scholarships to seniors who need financial support to pursue their dreams of higher education. Too many BHS seniors lack the funds to fully pursue a post-secondary education. The number one reason that students from low-income families drop out of college is the financial burden. The Brookline High School Scholarship Committee, the Brookline Community Foundation and the Town of Brookline are partnering to make more critical dollars available to those seniors in need. And the need is critical: the sizes of the BHS graduating classes are projected to grow from 422 in 2015 to over 600 in the next few years. 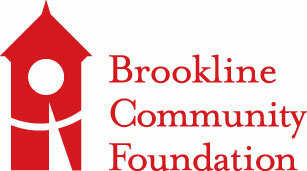 Donate now to give.brooklinecommunity.org/bcfschbhs to the Brookline Community Foundation Scholarship Fund for BHS. This professionally managed endowed fund is well on its way to raising $3.7 million over the next several years to double the amount of scholarships (that are currently available), in perpetuity, for graduating seniors. Give anytime to create a legacy for the town. Don/online-payments.htmlate now to the BHS General Scholarship Fund. This fund distributes scholarship awards to graduating seniors in the current year if received by April 31. Whichever way you choose to give, please give what you can and know that every dollar you donate makes it more likely that ALL Brookline High School seniors will have the means to fully pursue their dreams. For more information on the BCF Scholarship Fund for Brookline High School, please call Executive Director Jenny Amory at 617-566-4442 or email jamory@brooklinecommunity.org.